It was the vision of Bill Kimball, a Vietnam Veteran who served with the 1st Cavalry, as a Mortarman during the 1968 Tet Offensive. Bill’s overwhelming desire was to see Vietnam veterans return to Vietnam to help in the rebuilding of a country that suffered immense destruction to its infrastructure, and minimize its effect on the former South Vietnamese. After an exploratory trip to Vietnam in 1988 made it clear the people needed help to recover from the ravages of war and the policies of the current government, VWAM began under the guidance of Bill Kimball and a few Vietnam veterans and friends. They formed a not-for-profit humanitarian organization and ministry that began humanitarian projects in 1989. In November, 2000, Charles Ward assumed Bill’s position as the new Executive Director to manage the daily operations of VWAM. 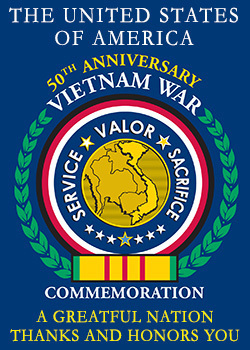 Through his leadership and dedication, as well as a committed Board of Directors and Advisors, VWAM has continued its service in Vietnam as a ministry and humanitarian organization respected by the Vietnamese Government and medical professionals in Vietnam and Southeast Asia, the United States, and Canada. 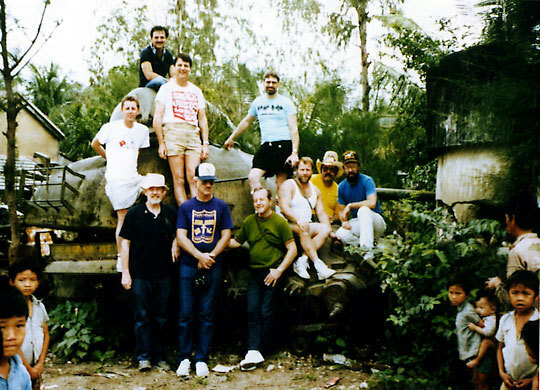 First VWAM team back to Vietnam 1989. The first official trip back to Vietnam as a veterans group was in January of 1989. The government of Vietnam assigned the first project to VWAM in Ho-Chi Minh City - Polio Orphanage #5. The orphanage was managed by a Catholic nun, Sister Jean Marie, who later became known as the “Mother Theresa of Vietnam.” VWAM focused on this orphanage over the next several years. Prior to VWAM coming along side Sister Jean Marie, the polio orphanage was in a pitiful state of disrepair. 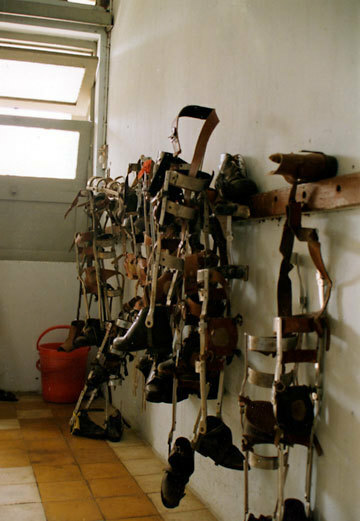 Children were using outdated crude braces to walk, and the therapy pool was dry with broken and missing tiles everywhere. 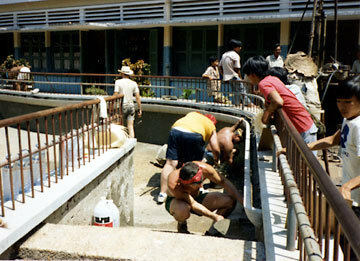 The well that supplied the pool with water, as well as the main water supply to the orphanage from the city, were not working and had been abandoned years before. This was a difficult time in Vietnam, as the country was trying to recover from the war and its closure to the western world. Food staples, parts of every kind, electricity and other services were nearly non-existent and the infrastructure was dilapidated. The children were suffering in every way imaginable. VWAM believed that God had called them to this orphanage to bring healing. Healing to the physical grounds, healing to those who had no other chance, and to assure that the walls surrounding Polio Orphanage #5 remained a border of safety so healing could continue within the compound. VWAM and the veterans who participated on these team trips, were humbled by the humility and dedication of Sister Jean Marie and her staff of sisters, who helped her care for and feed the children afflicted by polio at her Orphanage. VWAM’s volunteers, most of them veterans of the war as well as the staff, shed many tears as they worked together to bring hope and healing to “the least of these” that God had placed in their midst. It was not unusual to see a tough former Marine with tears in his eyes, holding one of these children in his arms. The visits to Polio Orphanage #5 brought a new measure of meekness and humility to every team member. It was in the midst of all of this suffering, and emotional baggage the veterans brought with them, that the calling for Vets With A Mission was birthed. VWAM strives to accomplish this through the compassionate, humanitarian efforts of veterans and non-veterans alike who desire to rise above the tried political arguments and unnecessary apologetics concerning their service and the US involvement in the war. Vets With A Mission has a variety of Projects. VWAM, in the early years, focused on building and/or sponsoring health clinics in rural areas and medical clinics in the greater Saigon area. During the ensuing years its work moved to Da Nang City, Quang Nam Province, Da Nang Province and finally Thua Thien Hue Province today. VWAM has built thirty-two rural health stations or medical clinics in the cities. VWAM offers medical training programs and works with the local clinic doctors to help improve their level of education and skills in the medical profession. VWAM has invested over three plus million dollars in the country over the past twenty-nine years! It has sent three disaster relief teams to Vietnam following typhoons. Often assistance has been in the form of medical supplies and equipment to clinics VWAM has built, as well as government built clinics where VWAM medical mission teams served. This was done with thirty-six shipping containers between 1990 and 2001. VWAM has also worked and partnered with local churches providing Bibles and Christian literature, funding church repairs, and supporting their outreach efforts, which includes Christian medical teams that reach out to those who are unable to get proper medical care for one reason or another. These ministry efforts are now coordinated with the local church, who interact with the local government in Vietnam. Vets With A Mission medical and ministry teams give hope to the same people servicemen and servicewoman went to Vietnam to help back in 1965-1975 – and the mission continues!